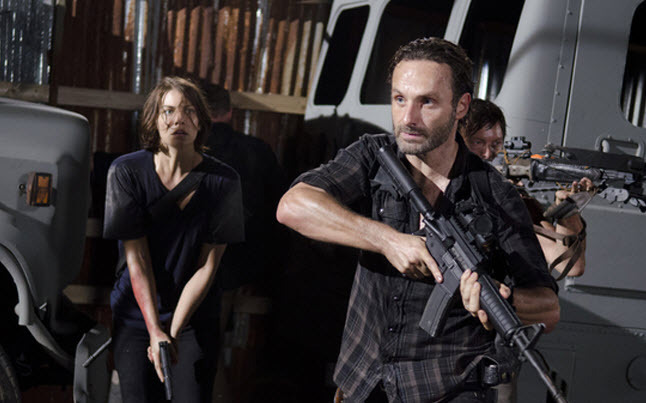 The Walking Dead Smashes Ratings Records, Again! Looks like The Walking Dead has done it again. Last night’s episode of The Walking Dead titled, “The Suicide King”, pulled in 12.3 million viewers beating its season 3 premiere record of 10.9. This is an extremely high number considering that the Grammys were on last night as well. If you add in the people that tuned in for the encore at 11, the total views got up to just about 17 million. Plus don’t forget, the Grammys were still on during the encore. The Walking Dead, especially during the third season, is really proving to be a force to reckon with that even the major networks cannot compete with. Not only did it shatter its previous record, but it was also able to snag 7.7 million viewers in the 18-49 age demographic, which is up about 6 percent from the season 3 premiere. This jump now makes it the strongest basic cable telecast in history that has been averaging 6.8 million viewers. It has also been performing much better than other basic cable shows such as Modern Family, Big Bang Theory, Two and a Half Men and NCIS. Will The Walking Dead continue to crush the competition? Only time will tell. We do know that the major networks currently have nothing at this time that can compete with what is becoming a world wide phenomenon.